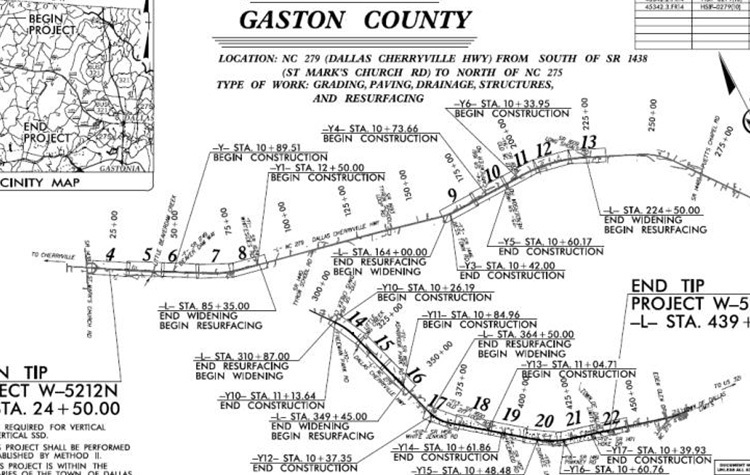 Roadway improvement design on NC 279 (Dallas Cherryville Highway) from south of St. Mark's Church Road to Tandem Drive, north of NC 275. Construction will include paving, drainage, structures and resurfacing for approximately 7.8-miles. 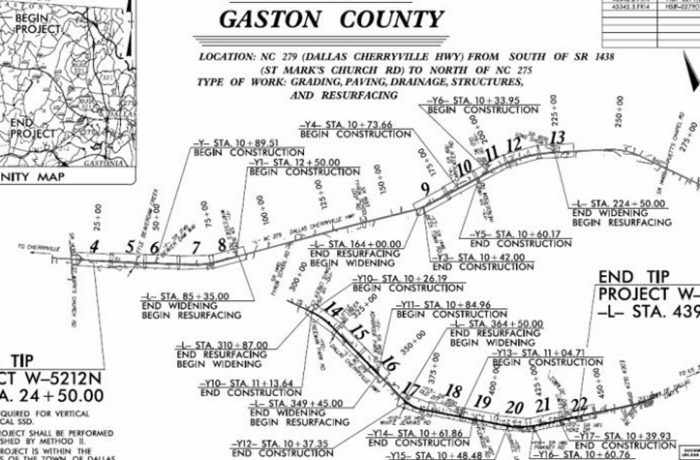 Design includes widening the roadway from a 2-lane facility to a 4-lane facility and improving 4-miles of drainage along with 2 box culvert replacements on on this $13M project.